Trips are a common bonding activity for families, friends, or employees. These trips enhance the camaraderie between a group of people. 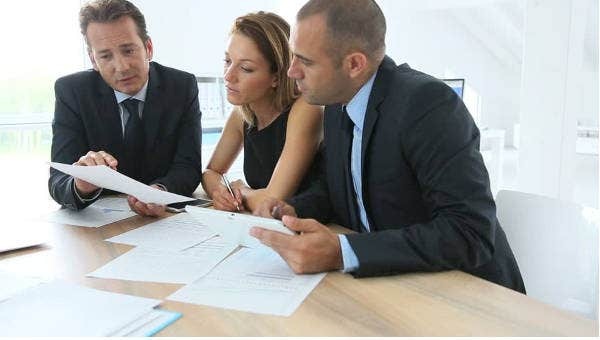 Thus, family members get closer, friends increase trust and loyalty, and employees work with less difficulty with their colleagues and peers. Creating an Itinerary for these kinds of trips is necessary to have a smooth and hassle-free bonding time. 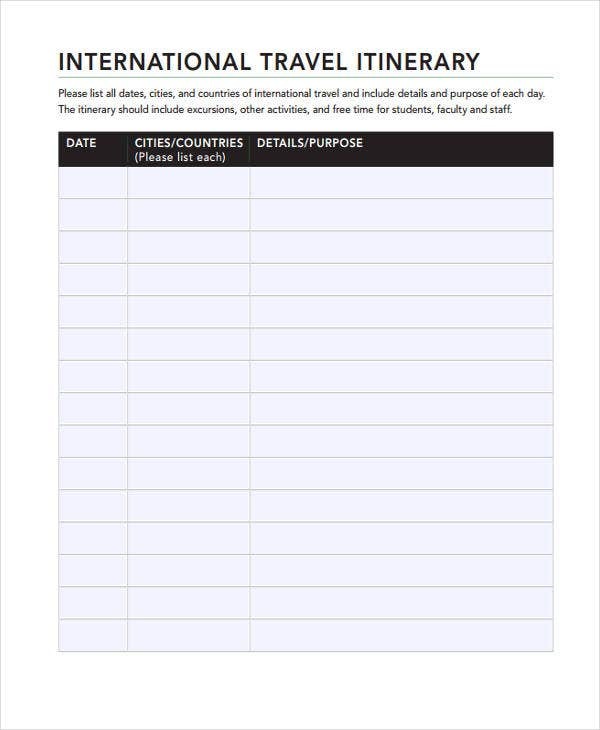 Itineraries, such as Travel Itinerary, are created in consideration of various factors. Trips usually lasts for three days at most which calls for careful planning of the schedule of activities. 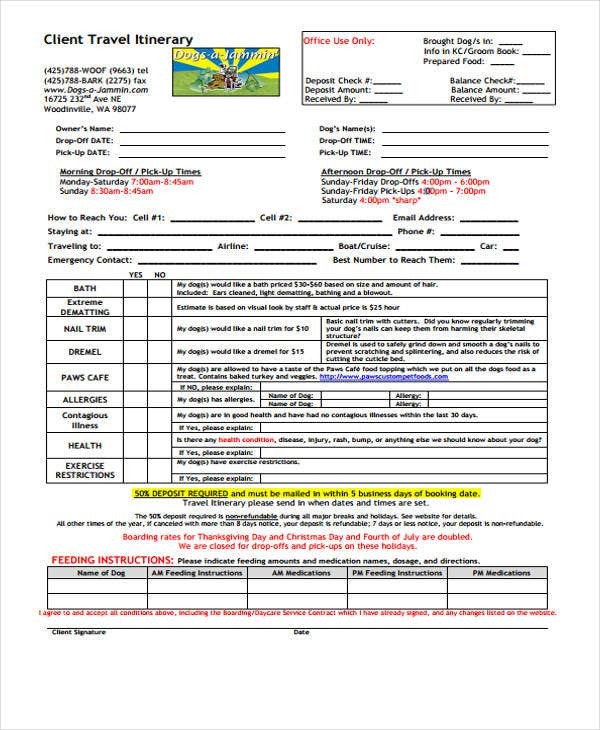 These blank itinerary templates can help you in creating a well-planned trip. An agenda pertains to a detailed list of things that is going to be tackled in a meeting. The topics that need to be discussed are listed along with the start time and end time. 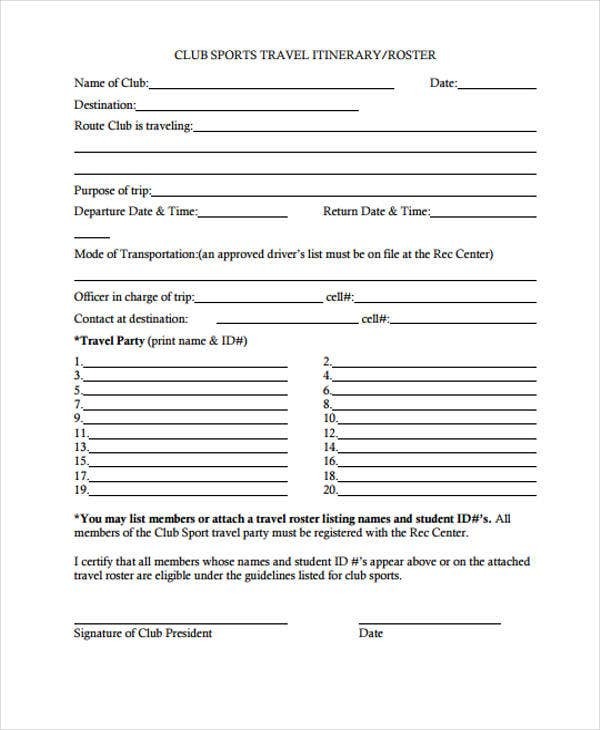 An itinerary refers to a document used to record travel plans and the route of a journey. This should not be confused with the Meeting Itinerary Template, which is a general list of meeting activities. Choose the appropriate template. 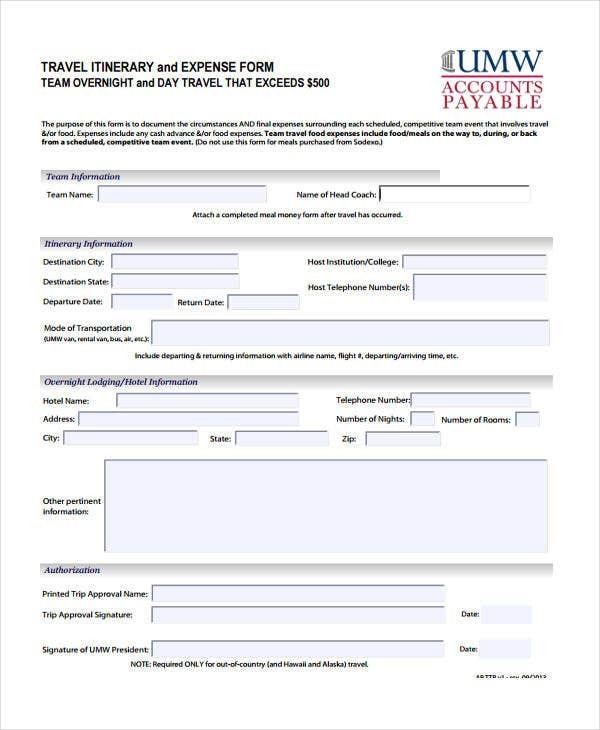 Download an itinerary template based on the nature of your trip. 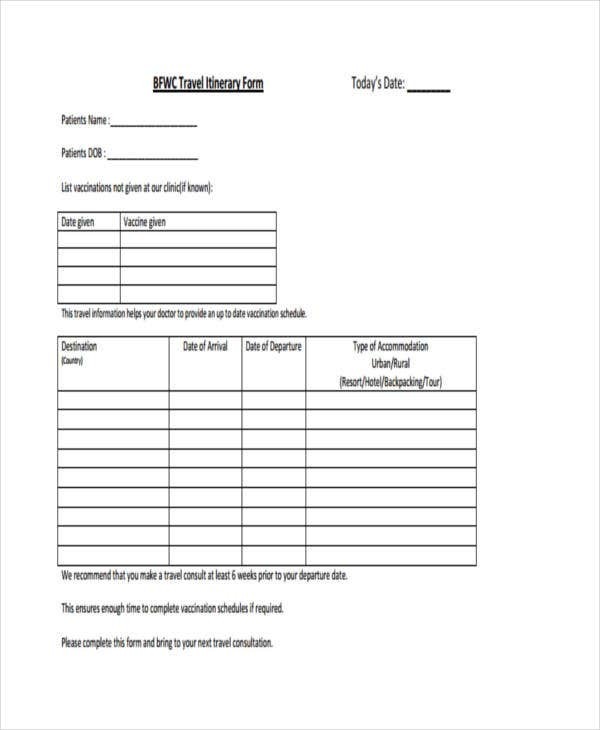 Various templates are available depending on how long the trip is, like the Weekend Itinerary Templates. Run Word or Excel program. 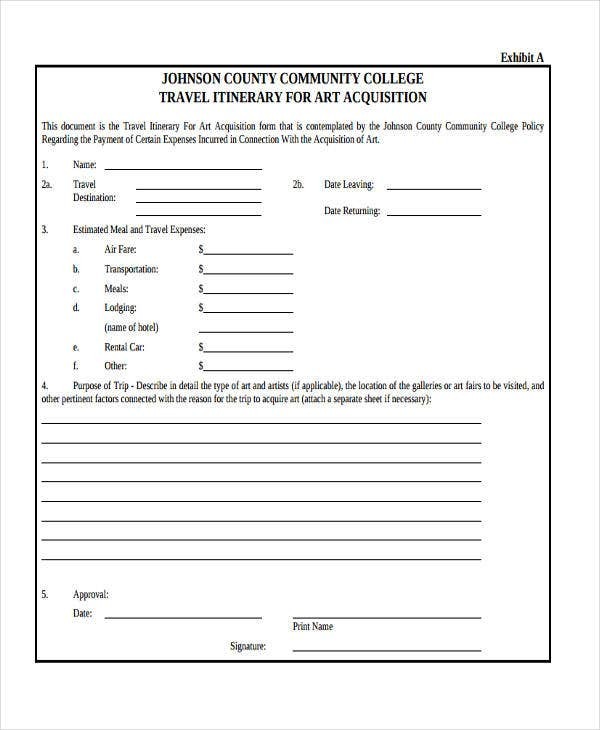 After downloading, open the document using its specified software program. 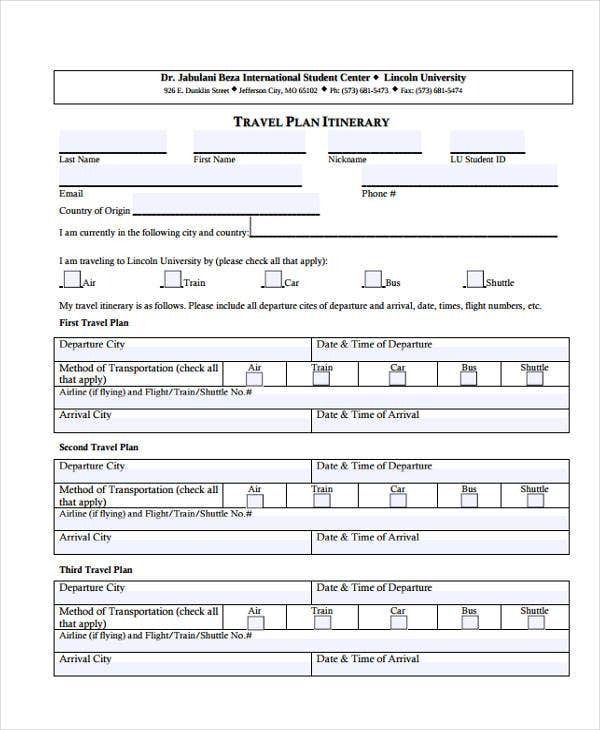 Edit and fill in travel details. 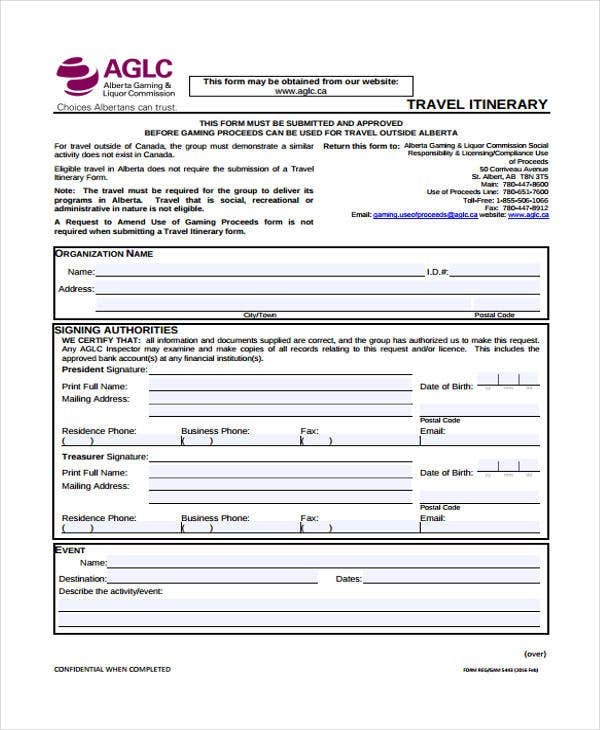 You can now customize the document by incorporating company logo and the information regarding the trip. List activities within a time frame. Take into account the duration of your trip. Do not squeeze in too many activities so you don’t end up having a stressful trip. Set your priorities. Oftentimes, the reason why trips aren’t satisfying is because—if not planned well—people end up discarding activities. Prioritize those that you can’t do without. Always consider other factors. Taking into account the time for travel, resting, eating, and getting ready when making your itinerary. To be fully prepared, think of contingency plans in case of unexpected events during the trip. Make use of travel guides and itinerary templates. Travel guides can provide information regarding your destination. This will help you locate accommodations and tourist spots. 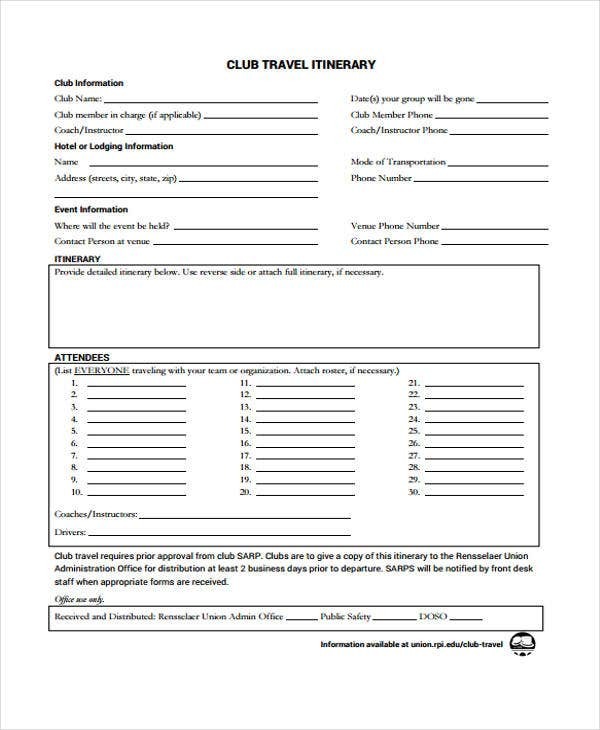 You can use the information you’ve collected to fill out this Itinerary Template in PDF. Whether you’ve been to an area before of are going to visit it for the first time, it is important to create an itinerary so to save you the hassle of having to wing it—unless that’s what you want. 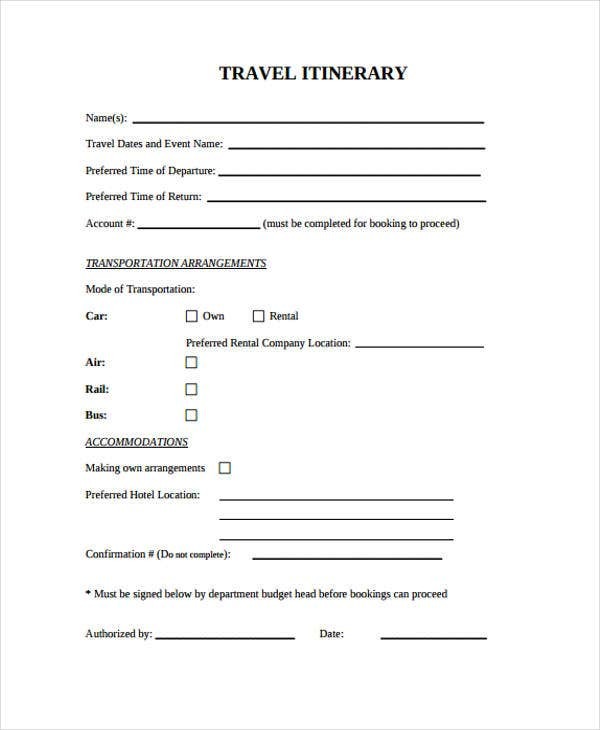 These Blank Itinerary Templates will definitely help you plan out a satisfying trip.